We have just finished with the first of a series of ten type set prints w/ original mixed media drawings. 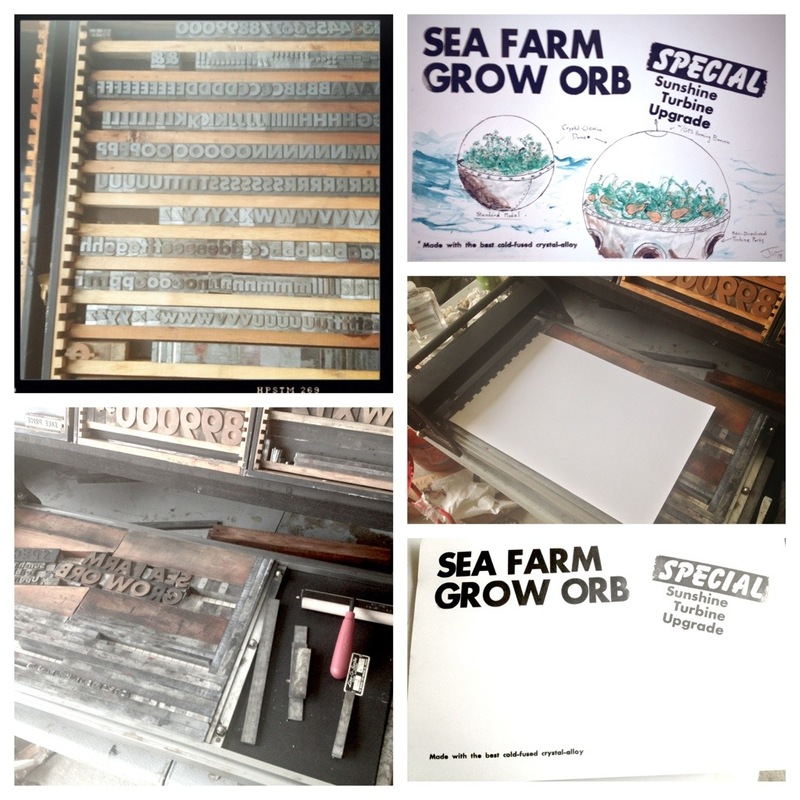 Featuring the Sea Farm Grow Orb, we are proud to say that this creation is a true J. Haley Arts Institute Product Lab original. 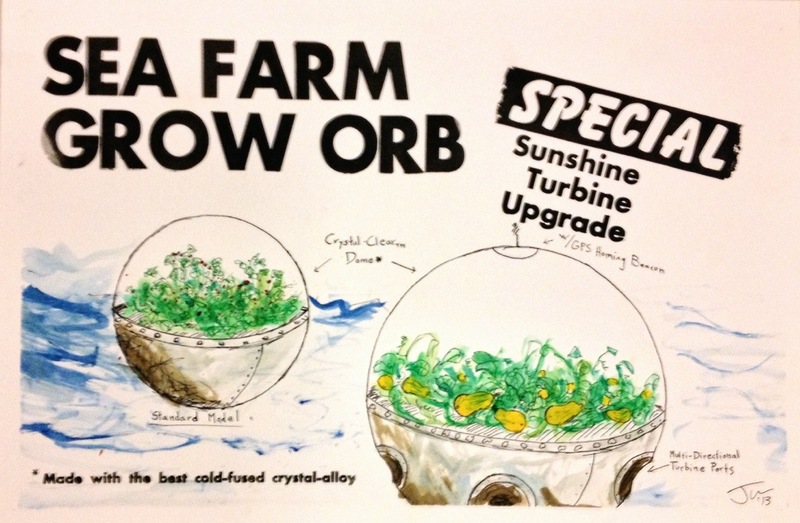 Featuring the Sunshine Turbine Homing Beacon, you can rest assured that your Grow Orb will dutifully and reliably return to you for harvest. Featuring our patented Crystal-Alloy, this baby will never let your garden wilt. Contact your local representative about personal ownership vs. our cooperative plan. The marketing prints featured in this post are true artifacts from the future and will soon be available to the people of this timeline. Stay tuned for more information.